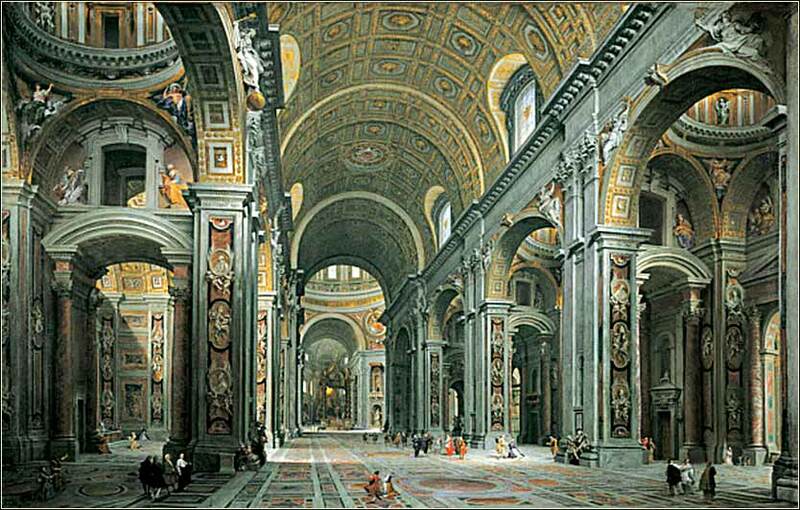 Interior of St. Peter's by Giovanni Panini, ca. 1731. The well-bred Panini sandwiched a visit to the Vatican in between trips to Bologna and Asiago. I felt in my heart that somebody needed to hear this today. Almighty God, and most merciful father, who did commanded the children of Israel to offer a daily sacrifice to thee, that thereby they might glorify and praise thee for thy protection both night and day; receive, O Lord, my morning sacrifice which I now offer up to thee. I yield thee humble and hearty thanks that thou has preserved me from the danger of the night past, and brought me to the light of the day, and the comforts thereof, a day which is consecrated to thine own service and for thine own honor. Why do you see the speck that is in your brother's eye, but do not notice the log that is in your own eye? Or how can you say to your brother, ‘Let me take the speck out of your eye,’ when there is the log in your own eye? The term “characteristic British understatement” comes to mind: where he says “we would do well”, one must remember: Minding our own faults, and ignoring the faults of others, has been commanded by God. The Bible does not entirely rule out the correction of faults in others — see Galatians 6:1, for example — but we err so heavily in our tendency to pass judgment on other people, quickly and frequently, that we do better not to judge others at all. Most of Jesus' parables and analogies are grounded in realism, but here, He creates a virtual cartoon; a person with a log or beam in his eye, utterly blind, trying to find a speck of dust in someone else's eye so as to remove it. But this ludicrous example carries with it three reasons why criticizing the faults of others and trying to correct them is misguided. First, just as a person with a log in his eye could not see, we can never really know all the facts about another person. History regales us with story after story of a person going off half-cocked, mocking another person, when the ignorant critic is utterly wrong. And we never know all the facts about another person; our judgments of other people are always wrong, because our evidence is always incomplete. But most of all, even more than the powerful forces of ignorance and prejudice that rule human judgment, is Christ's ultimate point: Nobody is righteous enough to judge someone else. Judgment of others is always hypocritical. We come again to humility, but this time, the humility has teeth: Christ will judge us as we judge others. Our glory, our worth, and our happiness is guaranteed by God; so learning not to judge others ultimately comes down to the strength of our faith. The more certain we are that God is going to bring us to a place of perfect joy, the less defensive we become about our value in comparison to other people in the fleeting moments of time. If we know that righteousness is ours only through Christ, we see clearly that self-righteousness is erroneous and unnecessary. 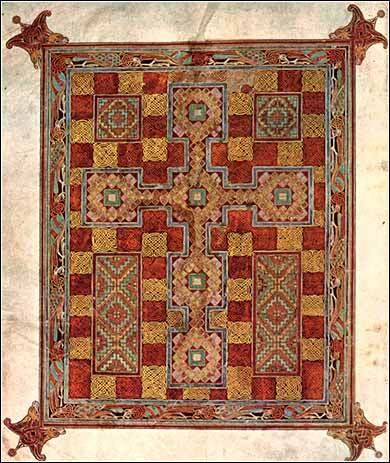 Lindesfarne Gospel, cover page. This Gospel was illuminated in a monastery off the coast of Scotland around 700 A.D.